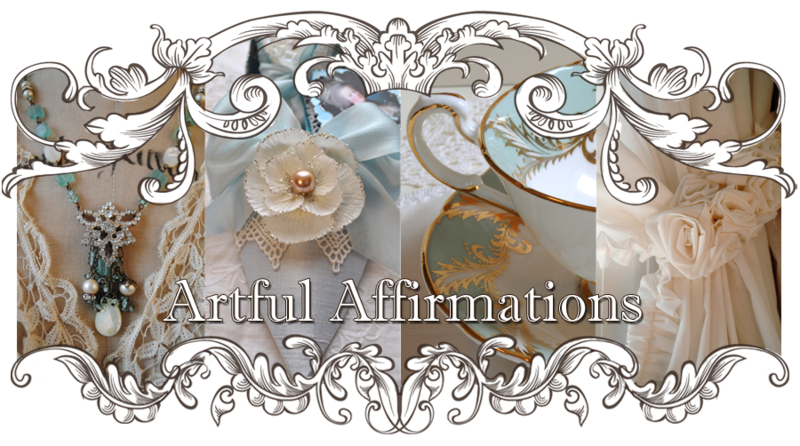 Artful Affirmations: New Shoes for Christmas and a Giveaway! I have had a great day of crafting in my art room. 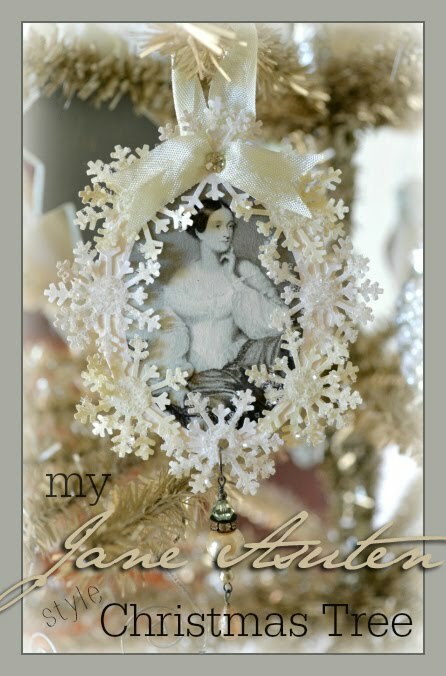 I have a few more Jane Austen ornaments done and will show them tomorrow night at Deck The Halls Sunday blog hop hosted here at Artful Affirmations. 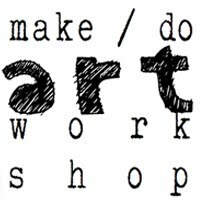 for your artsy friend made by you? This pair is for a friend of mine. 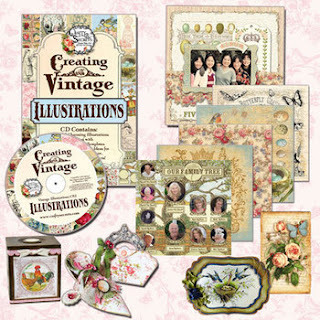 Crafty Secrets has a new CD out called Creating With Vintage Illustrations. I has over 200 illustrations and all kinds of high quality papers. I created this shoe and purse from a divine pattern you can print off from this CD! Wow! I am totally in love with this paper and would love to paper a room with it! The purse pattern is also on this CD. 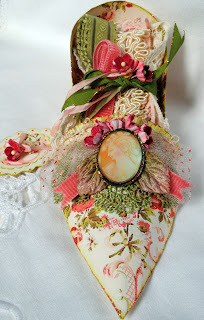 I have a free video tutorial on my sidebar on how to create this shoe. 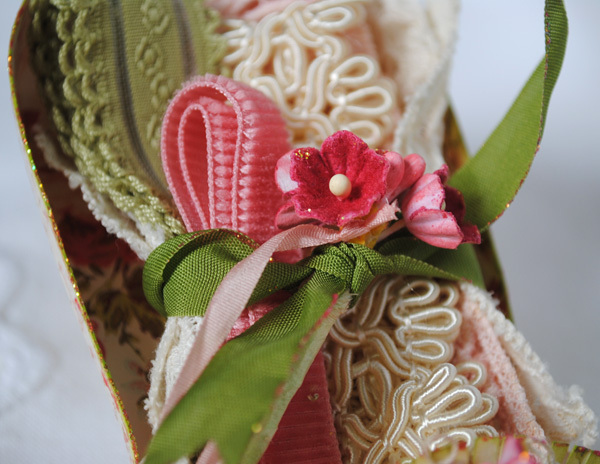 It is perfect for tucking in little goodies, like vintage laces, ribbons and fibers....or any small gift. 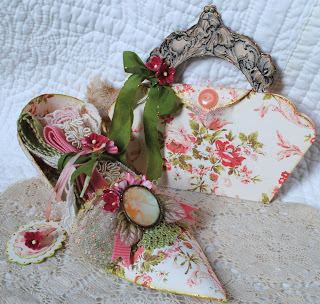 The purse was designed by Cindy, and is easy and fun to create. You could use it as a gift card holder, or for small photographs, or a letter, poem, or $$$! Holiday Giveaway Extravaganza starting off with this fabulous CD!!! Click on the link in the image above to go directly to the shoppe. I love creating these little shoes! It is so fun to choose a colorways and to add little touches. I love receiving hand made gifts from my friends and family. They are so special to me. Creative Secrets added this gorgeous heel! Didn't they do a fabulous design job on it? Just an idea. I am working on several Christmas gifts right now too. How is your Holiday gift crafting coming along? If you would like to win this fantastic CD just leave a comment and how to reach you. I will be posting more giveaway items for my Holiday Giveaway Extravaganza! Lovely give away, I hope I have almost finished all the presents, little things I add to the larger stuff, mostly things to go on the tree, just so busy trying to get it and the baking done. It is Crafty Secrets not Creative Secrets CD you will be giving away to the girl who caught your typo and has made your shoes before and given them to her dear friends but if I had this CD I would make a ton more. Thanks for the opportunity. Such a beautiful giveaway! 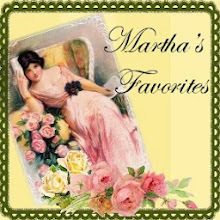 I love visiting your site ~ it's such a treat and wonderful "eye" candy. Terri they are lovely! Wouldn't they be fun to make for Valentine's? I need my project notebook by me everytime I read your blog. Gorgeous Terri! I've had fun creating shoes from your template, love the bag too! Your shoe is the most beautiful thing! The patterned paper is divine, and for the purse too. I have only ever made one shoe, for my daughter's birthday. and I was so pleased how that turned out. Can't wait to try out your template, this shoe is so cute! I would love a chance at winning the new CD, thanks, Marilyn. Oh, my, Terri! What fun! I'd love to win the CD! Merry Christmas!!!!! Teri this is just stunning! I am always amazed at how much and the quality of work you do, you are so inspring. Quick question what type of printer do you have, the CD sounds fabulous but when I print things out they arn't very pretty. I think it's time to look into a higher quality printer. The giveaway is fabulous and so generous please include me! Terri, everything looks beautiful! I love the papers you've chosen - so feminine! I received a reply from Coats & Clark about the twisting metallic thread. I posted it on my blog today. It isn't much of a solution, but maybe worth a try if you want to add another procedure to your work. It seems awkward to me. Let me know how it works for you! I would love to have a copy of the CD Terri and if I get lucky I can be reached at signet333@gmail.com or my blog! Thanks so much! Wow! I can only imagine what fun stuff is on that CD! I have made one or two shoes over the past year, but none as lovely as yours! GORGEOUS! I just got back from vacation & need to get BUSY on my gifts & am very jealous of all of those craft gals out there that have been at if already! 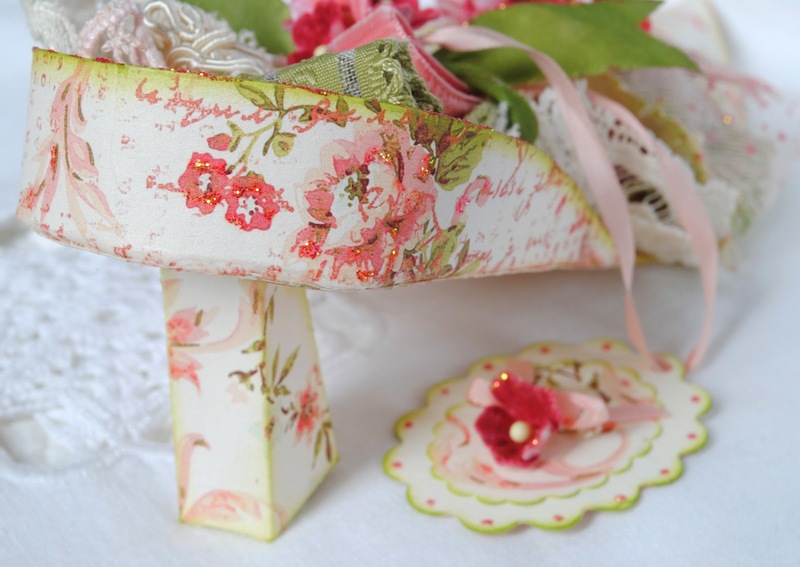 Your shoe is gorgeous, Terri - the papers soooo pretty and oh, that elegant heel :-) delightful! I don't have many CD's but this one is right up my street! Ignore me if UK followers are not eligible but I couldn't pass up the chance to be included in your generous giveaway. what a great prize I love this shoe and would love the CD, thanks for being so giving! Oh Terri! this is a wonderful giveaway! I'm really keeping my fingers crossed for this one. I love your shoe, and of course, everything else you create. Love your creation!! !Thanks for the opportunity to enter this wonderful giveaway!!! I can only imagine what stunning creations would be on this CD. I did your free shoe tutorial last year for a Christmas Challenge at Make The Cut Forum. I did a Christmas Shoes Theme, based on your shoe and the song. I would love the opportunity for a chance at winning this CD as well. Thank you. i have very much enjoyed your shoe tutorial-it can be easily changed to fit any holiday or occasion. please include my name in the drawing. thank you! Terri, I love your shoes I made these for my granddaughters for of all times Halloween. They were scary and gorgeous, and of course very easy to make. I would love the addition of the CD with which to play. As far as my Christmas crafting unfortunately, the best laid plans of mice & men. . .has happened to me this year, I'm way behind. Fantastic fabolous shoe, Terri- and a wonderful giveaway. 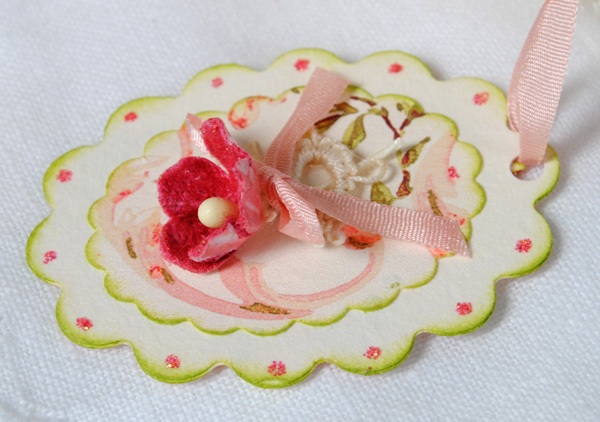 The paper used is very beautiful, and it looks so elegant. Hi Terri! Happily I stumbled across your blog a month ago and have been viewing your tutorials and making Terri-inspired projects - love them!! Would also love a chance to get my hot-glue-gun-blistered fingers on that great c.d.!! Thanks so much for sharing! I just love coming here!! Oh this shoe and tag...GORGEOUS! If I had a little more time I would love to make one. Maybe in a couple of weeks I'll get a chance to try. The CD looks incredible too. Love making those shoes and this CD would be a lot of fun! Your shoe is beautiful! That would make a really pretty ornament as well. 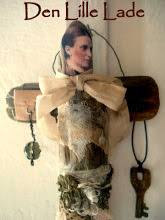 I was also thinking that my Nana would love this project. Thank you for such a wonderful tutorial!!! Fabulous shoe and the CD looks wonderful! Thanks for the opportunity to win!! So glad I visit often Terr1, I thought I already threw my Santa cap in the ring! Thanks for the never ending inspiration and for such a generous giveaway. The shoe is beautiful! As is the sweet little handbag, hadn't seen one of those before. And I agree with you, the paper is absolutely gorgeous, I'd love bedlinen like that. Oh this would be a sweet Christmas treat to win! I have always loved Crafty Secrets! Thanks so much. I'm not making xmas gifts this year because I've been so tired lately - but I did just finish my first doll! Terri, that shoe is beautiful! I remember seeing your directions for this and now I think I'll really have to try my hand at crafting one. Just lovely. Wow! How proud you must feel. Your creations are beautiful and that CD is fabulous! Wonderful looking CD! I would love to create the beautiful art from it. Oh my Terri..beautiful..your creations are divine! i seemed to have missed a few of your gorgeous posts! I love your shoes and in general they are a special symbol to me..for my father is a shoemaker and his father before! thanks for this enchanting beauty you share! The little shoe and bag are so pretty! And what a great giveaway! Thanks for the chance to win. 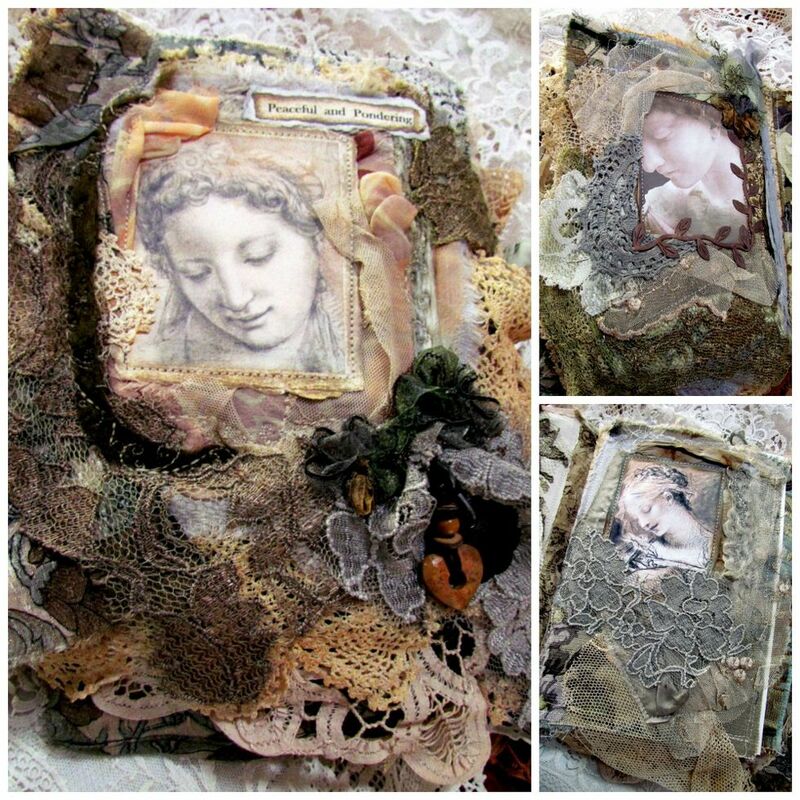 Oh I do adore your projects and Crafty Secrets! I have been seeing the CD here and there - thanks for offering a chance to win it!! I do SO love your blog! You are very creative! I was inspired to make a tag similar to you Jane tags for my sister. I hope she likes it! 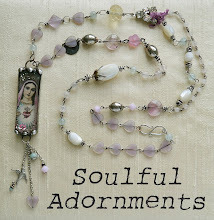 As always, I'm inpsired anew with your blog this morning! Thank you for the opportunity to win the CD!! I just found your blog thru a link for bleaching the Christmas trees! Wonderful shoe! I love it! Oh my, I have this CD on my holiday "Wish List!" What a gift to receive it!!! Love the shoe; so precious! Your shoe is lovely! I would love to be entered in this giveaway! I'm so glad I discovered your blog of vintage stylings (Thanks to Tim and Mario and their link to the bleached brush trees). I've been stuck sick at home by myself this Christmas, so I've entertained myself with blogs and fantasies about what I can make when I feel better. Thanks for sharing your inspirations! Oh, Terri, I would love to be entered in this give-away. Thanks for being so generous. I just love your blog and your shoes! 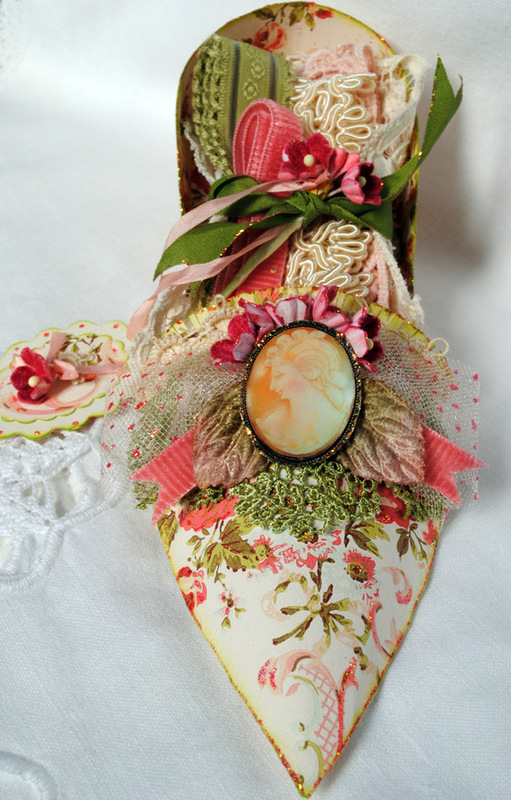 I also make what I call paper fairie shoes. I was lucky enough to visit Paris in October and it was wonderful to view your French Friday posts, and to relive the experience through your photos. It looks like we went to many of the same places, and I went to the same fabric stores as you. I loved that part of town. My girlfriend bought a wonderful painting from one of the artists in Montemarte. I joined as a follower today. 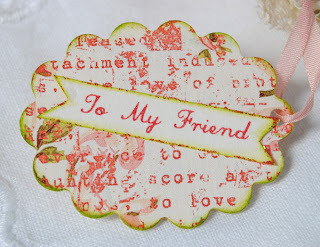 Thanks so much for all of your inspiration and your wonderful blog giveaways! 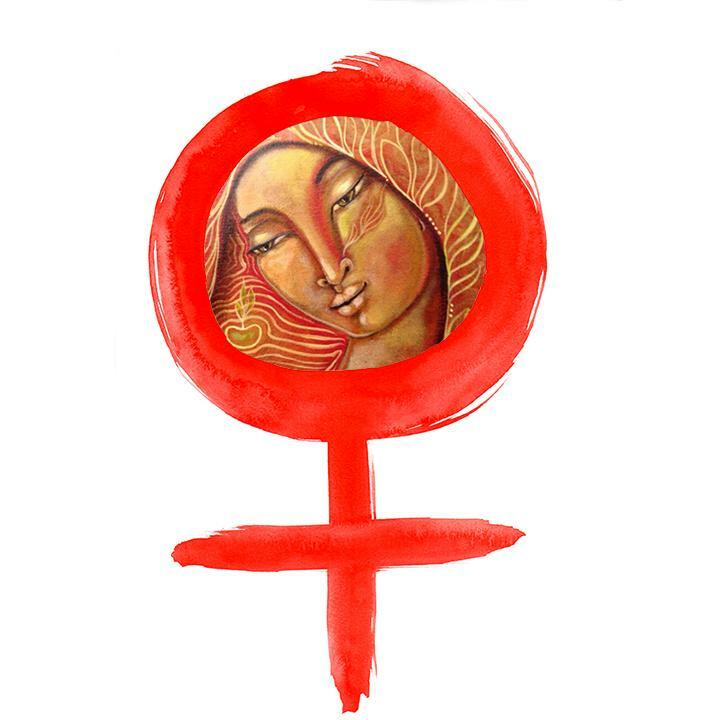 Dear Terri, I like your blog and I admire your work. Thank you for the inspiration. Your gift is so beautiful but Greece is so far away from you...I just wanted to thank you and wish you a good, happy and creative year. Fantastic shoe and purse. Thanks for the opportunity to win this super giveaway. Love your blog and love this give a way too. Happy New Year from Australia. I'm so glad to have found your blog, love the vintage style. Oh how my imagination runs wild when I think of what I could make with the images on this CD. I could permanently retire to the vintage world I like to live in! Thanks for the opportunity to win this inspiring prize! 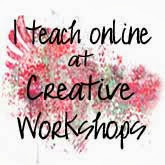 wonderful give away & equally great tutorial. Here's one more chance at the givaway! Hope you had a wonderful, delightful, and slightly magical holiday. Holly M.
Love Crafty Secrets!! This CD looks fab- as do your petite chaussures! The shoe is fabulous!! I'd love a chance to win the CD. Thank you!!!!!!!!!! Lovely images! Thanks for the giveaway! 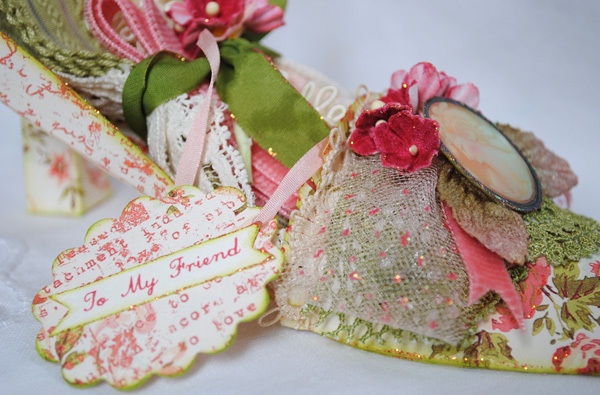 The shoes and purse you made are so beautiful...I would love to win the CD so I could make my own! Happy New Year! Terri! The shoes and purse are gorgeous! I'd love to win this CD! So excited - a happy follower!